Jordan: Welcome to The Scented Salon Dr O. Thank you for web-cycling in from Vienna. 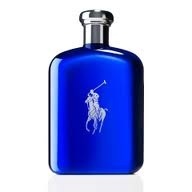 What was your first cologne? 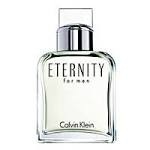 Dr O: My first scent was probably Eternity for Men. I believe it was the aftershave balm although I may have had the cologne or EDT as well. I remember that I tried the deodorant as well – what a fail that was! I have since switched to Speed Stick and never looked back. Jordan: What did you waft in the 80’s and 90’s? 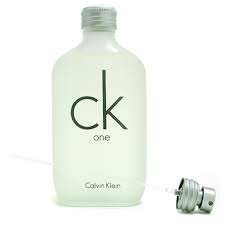 Dr O: I think I changed my cologne to CK One and then to Polo Blue sometime in the 90s and – despite being frowned upon for it – still use it occasionally. Jordan: What do you wear now and in what circumstances? Private Collection: Dr O, Vienna. 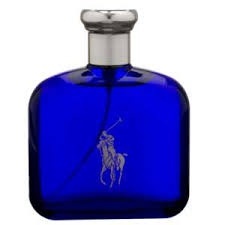 Dr O: On a regular day I will just use some Polo Blue, Dior Fahrenheit (my wife says it is the old formulation and that the current one is “dead”, whatever that means), L’Eau de Cartier Essence de Bois, or I may forget to put anything on, but on the weekend I like to go with a dab, never a spray, of Puredistance M or a spray of one of the Amouages (my favorites are Honour Man and Epic Man) or Serge Lutens Ambre Sultan. 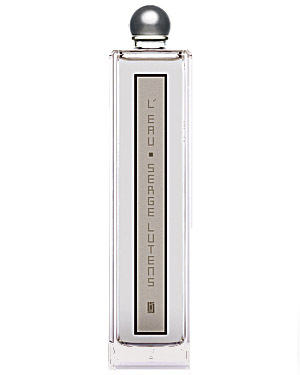 I once owned a bottle of L’Eau de Serge Lutens, which reminded me of L’Eau d’Issey and Davidoff Cool Water both of which I liked in the nineties, but I just couldn’t stand my wife’s tirades against calone any longer, so I didn’t repurchase. The sequel L’Eau Froide was a bust in my book. Jordan: Excellent taste with highly stylized curation. Your scent library covers a lot of ground. 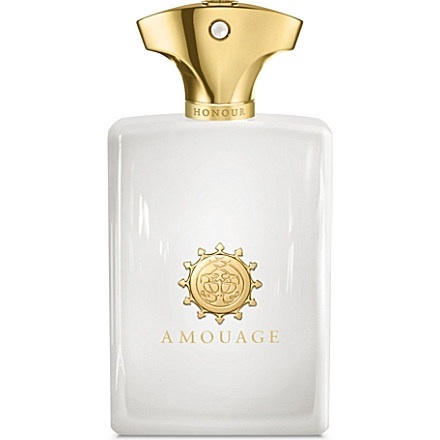 Amouage is ‘it’ for me in terms of Men’s fragrance. I have to ask you: Do you buy for yourself? Dr O: I wouldn’t dare! I would probably buy a horrendous scent by the olfactory standards in our house so I usually end up with samples that I either may or have to try. If I like something and it is deemed worthy of being in our collection it will be bought for me. Then I use it up and move on. Jordan: What are your perfume preferences or notes that you like? Dr O: I was quite taken with the concept of Molecule 01 for a while for two reasons: I like the smell of Iso E Super and secondly I couldn’t believe that you could get away with such a stunt. But then again I have seen a blank canvas at the Tate …. These days I like fresh (I can just see my wife rolling her eyes) as well as incense and amber scents. 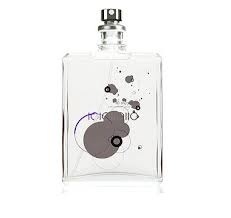 Jordan: Yes, Molecule 01 has been likened to The Emperor’s New Scent but in reverse. 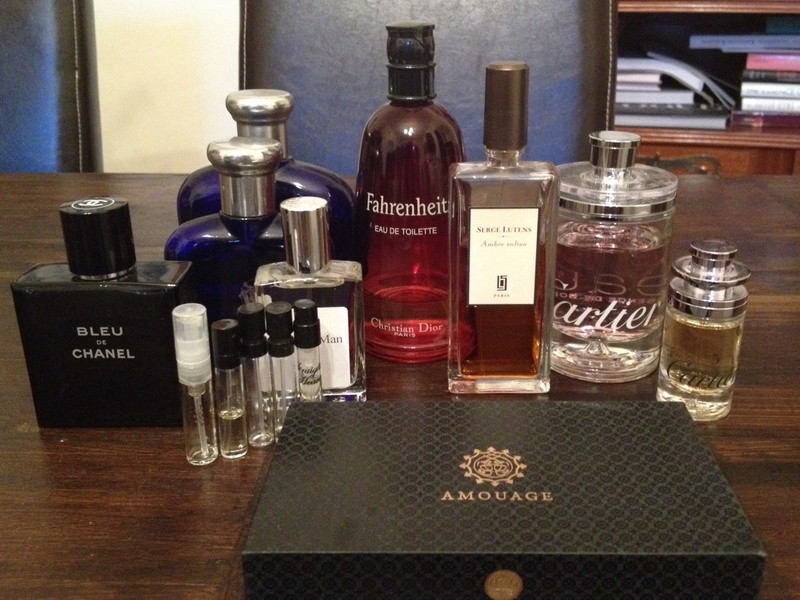 What is it like living with a Perfumista? Dr O: I have never thought about what it is like to live with a perfumista. I just live with my wife and kids and try to enjoy the little time I spend at home with them as much as I can. I am, of course, immensely proud of her and her achievements and secretly enjoy being a semi-celebrity by proxy without having to put up with a moody, anorexic, vegan actress in Hollywood. Jordan: What suits you for doctoring? Dr O: I try to stay away from too much perfume at work. 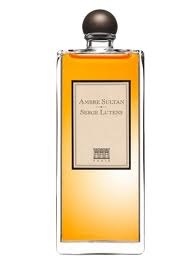 I remember putting on Ambre Sultan one morning before work and not liking it after a few hours. Perfume just doesn’t mix well with blood, sweat and tears – my patients’ that is. 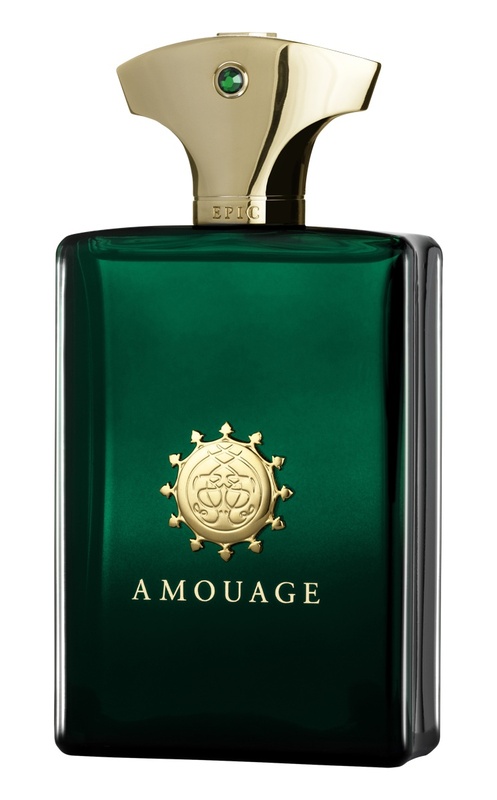 Jordan: Ambre Sultan is amazing for men. It is one of those ‘fumes that inspires stealthy acquisitive actions in others. Be careful it does not get snatched from your collection. Dr O: Love is ….. not to say anything when you come home from work and your wife is testing a perfume that, I swear, I just smelled on the homeless in the subway station… but seriously it is buying a 300€ bottle of something we have plenty of at home, oohing and aahing over it and pretending to never having smelled something like it before. Jordan: Such cleverness Dr O and not surprising that you have embraced the Viennese tradition of self-analysis for self preservation. Dr O: That one superhot, muggy day a year in Vienna when smelling the asphalt melting under my feet and walking by a trashcan suddenly teleports me to NYC. Jordan: When the weekend arrives what do you do? Dr O: What I love most is to eat and cook. I bought many of Mandy Aftel’s Chef’s Essences and love to experiment with them. Or I just throw a pork shoulder on the smoker and slowly roast it for 8 hours on the weekend. My dream is to take some time off work and spend it apprenticing with a few chefs wherever they are located in the world. 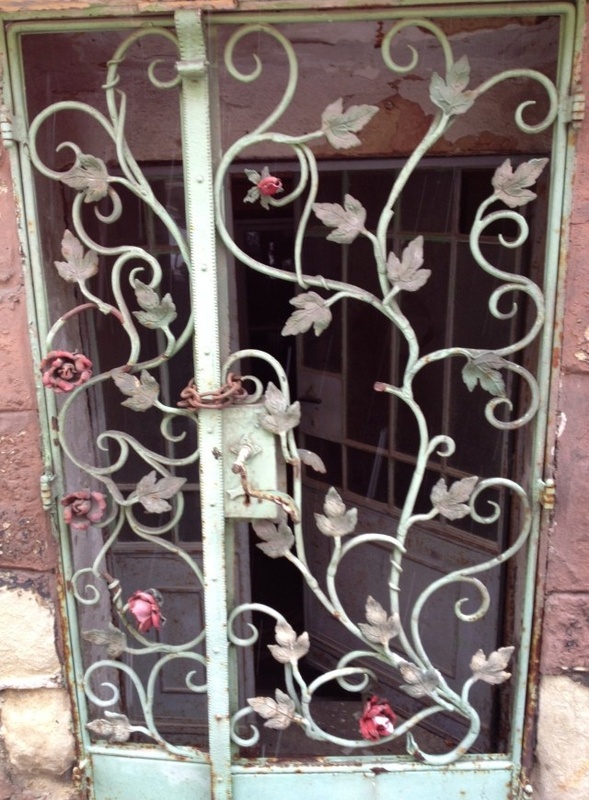 Jordan: Dr O, thank you for sharing your collection and your personal insights. We will be talking again with Dr O next month in The Scented Salon when he reviews the fragrant Kampot Peppercorns which should be arriving on the doorstep in Vienna any minute now. We may even have a recipe coming up from Dr O for a Scent Dinner. 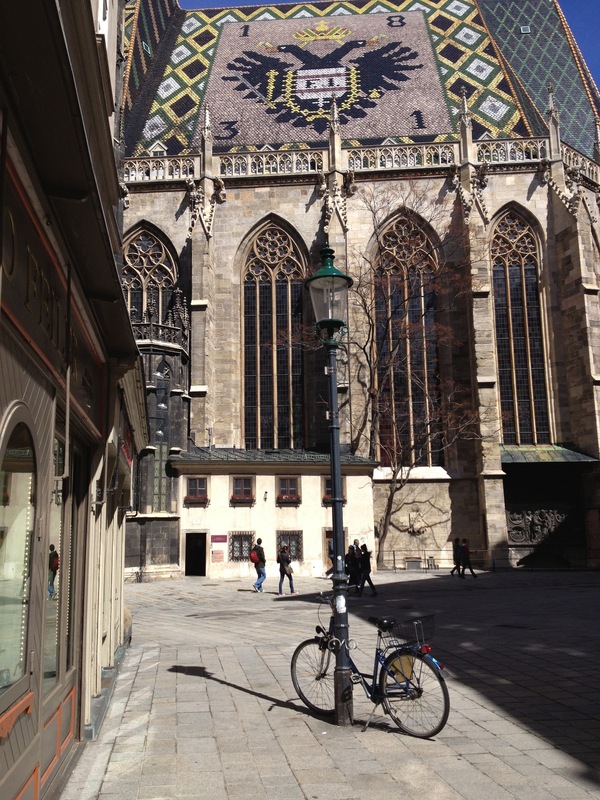 Photos: Stephansdom, Vienna and The Love Gate by Perfumista Birgit Oeckher. Birgit, Dr O’s wife, is Olfactoria of Olfactoria’s Travels, an Internet-based travel agency specializing in web-tours to Perfumes, Beauty, and Senusal Delight covering destinations all over The Fragrant Stratosphere. First class travel is complimentary and you can board here anytime that suits you. Morning Tea travelers are welcome as are long-haul explorers. Cartier is not the only one to make declarations. Olfactoria has declared that the theme for 2013 is Beauty. You can increase the amount of beauty in your life exponentially by following her weekly Hidden Beauty series. Smelly Thoughts Too Young To Like It l’enfant terrible of niche perfume critique in a fragrant drama playing out now on Facebook. Corners please gentlemen. Brigit is a beautiful woman in all senses, and from this I love her husband too. Great article! A very good sport and sort is he. P.S. I love Molecule 01. I do too. 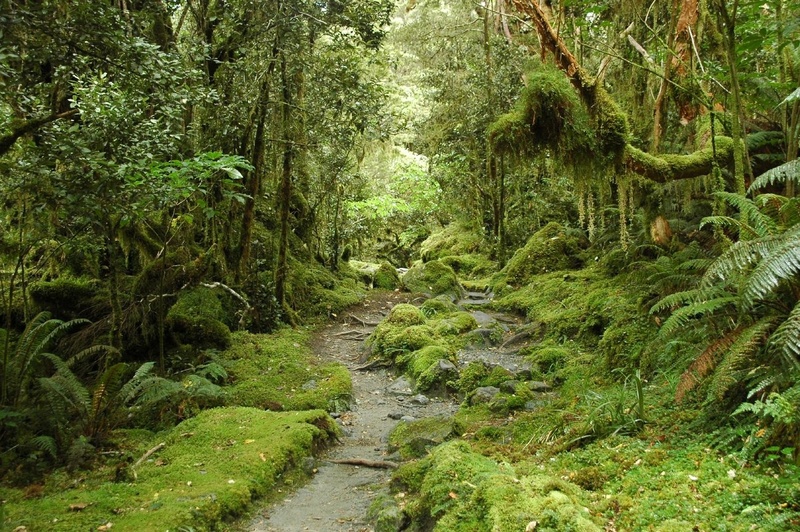 A mysterious journey that you are never quite sure where you are exactly. Surreal. The “Love is” bit …..?? Epic LOL!!! The Love bit is indeed Epic… and he is an Honour Man as well. Lovely, you both did great! Very enjoyable post! Thank you, Jordan. Thank you for the usage of the stunning photos. Your wedding photo is like a movie still. Your husband has a great sense of humour and timing. I’m very glad to learn more about Mr. O. If you’re glad I am glad too Ines. As they say in Thailand ‘if you’re happy I’m happy’ . Dobra Veche this Saturday night (in NZ). I would like a bottle of the smell of a Hot Summer Night – but not in the city! This was a very enjoyable read! 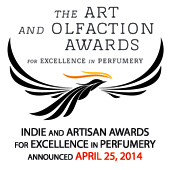 I’ve always wondered what it would be like for the other half of a perfumista! If we could only see… The Wonder of it All (Kristine W). Sure you can smell the wonder of it all. Thank you for a great interview. Dr O also made his beautiful wife her very own Hermès bag, lest we forget. That is also love <3. He did too. Doctors make perfect loving stitches. Thanks so much Jordan, this was such a great idea. A real treat! Great questions and equally great answers. I was particularly interested to read that Dr O has experimented with Mandy Aftel’s Chef’s Essences. I would love to hear the results. Looking forward to more posts to come. And it is treat when you zoom in Tara. Lets see if Dr O returns with a recipe or two for a Scent Dinner. We could have a world wide feast. Like everyone else, I enjoyed that! Great idea for an interview. Lorraine, thank you. I enjoyed your comment. That was fabulous. He’s adorable. His description of why he doesn’t buy his own fragrances sounded like something my hubby would say. Glad to hear that there are High Olfactory Standards in your home too Poodle. Not that I am suprised. Calone Cologne has been banned! I thought his sense is humour in an interview was everything you have said. Happy you are grinning this particular week. The wedding photo is very special to have on this site. You are too Kafka. Chuckling throughout – he’s a smooth operator, both in and out of theatre! Too many highlights to mention…I have been fortunate to meet the whole O family and Dr O is every bit as droll in person. I might even sniff him next time if the opportunity presents itself – I had no idea he was even halfway to being a fumie. Though it makes perfect sense. Good job, B! I can hear Sade singing. Hope you have found yourself a Fragrant Man or Woman. If not then I have to tell you about Love. 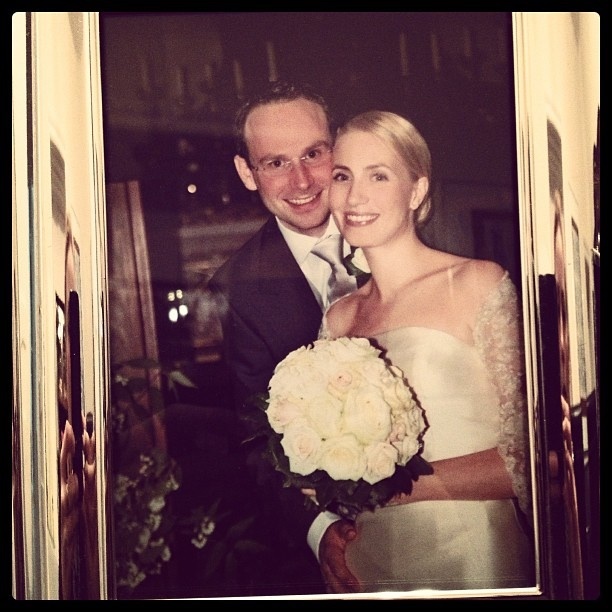 So glad you got your husband into perfume, Birgit! Looks like the two of you are very happy together! My favorite part of this post, however, is the end, where you describe your blog as “an Internet-based travel agency specializing in web-tours to Perfumes, Beauty, and Sensual Delight covering destinations all over The Fragrant Stratosphere.” The Internet is supposed to connect everything, and perfume is a transformative experience. You encompassed both of those ideas here, tongue in cheek. It’s all happy news here Joan. Thank you for taking the time to analyze and comment. It is a transformative experience and I still love to be amazed by the connectivity. I am in NZ chatting with the good folks of Vienna and now you too. Aww, very nice, Jordan! I’ve been a fan of Dr. O’s ever since his first guest appearances on Birgit’s blog. What cemented my very high admiration for him was learning how much of a Seinfeld fan he is – and, in particular, his post about their New York City trip, where he so splendidly detailed the Kramer Tour, as well as other establishments of gustatory pleasure in that city. I figure any many who loves Seinfeld and steak, and who was able to convince Birgit to marry him, has got to have impeccable taste – and reading about his scent profile here confirms it. Thanks for the interview! Hello Suzanne thank you for your comment. Here’s to Gustatory and Olfactory Pleasures! When the interviewer and interviewee hit it off as well as you two did, the result is a truly engaging read. Thank you very much for posting. And by the way, anyone who smokes his own pork shoulder HAS to have spent time in or near the Carolinas. Ain’t nuthin’ quite like pulled pork — someone should make a fragrance to mimic the smell. Tania Sanchez would agree with you – men love that smell – it could be a fragrance for women who are dating. I’m a fan of Speed Stick too, Dr. O. The regular scent is all the fragrance my dad has ever worn. And I love the picture of you and Birgit. Never seen a Speed Stick in my life. Is it fragrance-free? Down under we have fragrance-free Nivea Roll-on for Men which I alternate with the Clarins Deodorant in the crimson bottle from the Eau Dynamisante range. Not that you asked! Lol. 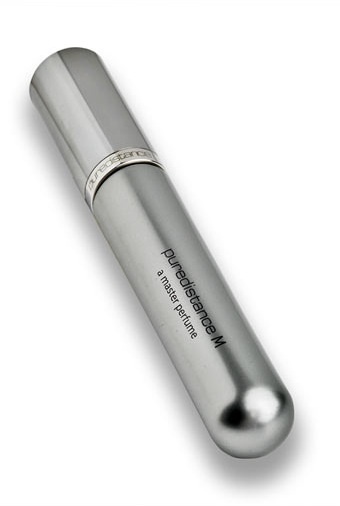 It is easy to buy Eau Dynamisante Treatment Fragrance in error instead of the deodorant as the bottles can be confused. 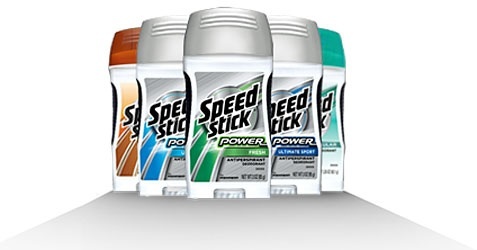 Speed Stick is a brand name, like Nivea or Old Spice for instance. Most of them have some scent. I usually get one that has a subtle scent. What a wonderful interview, Jordan! Bravo! The mélange of hot, melty asphalt + steamy garbage = NYC left me in stitches! Can’t wait to meet both Birgit and Dr. O! Thank you Daisy for the operatic cheer. Happy Meetings ahead. He is a Cool Cook too! What a great article. It’s such an interesting angle to interview the husband of a perfumer, instead of going for the obvious. 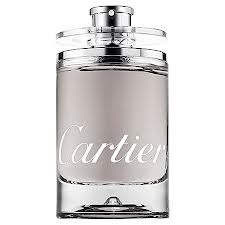 I’m pleased to see an Eau de Cartier in there, but I have to disagree about Ambre Sultan- on me it smells like a gang of hooligans smoking weed! Very descriptive IScentYouADay. Thats why I like Ambre Sultan for Saturday nights. Just kidding. But I will smell again with your olfactory reference and see what happens. Scenting you a happy day today. Ha, ha..what a lovely interview. I like the honesty of Mr. O. Welcome Civava. Honour and Honesty. Amusing and delightful from beginning to end…thank you, my Fragrant Man! Very funny, I enjoyed reading this and can only imagine the scene at home! Lila, careful with your imagination, next you will be imagining Olfactory Events. Thanks for stopping by. What a terrific interview Jordan – I love the marvelous Birgit and her elegant & eloquent blog so much! It’s a real treat to learn more about her fabulous “Dr. O”! Welcome Mandy Aftel. A real treat too that you popped in. Thank you. A recipe by Dr O with your Chef’s Essences is coming in a follow-up post at a later date. What a a gem of a partner. And this is an adorable post. Hope yours is gem too or that you find a gem or that you are happy with your gem-like self. Thank you for your comment. Adorable! Through the WordPress Looking Glass you go Neocup. Bienvenida. Gracias por sus amables palabras. ¡De nada! Pero quiero que sepas que mis palabras eran primero, “honestas y verdaderos,” y segundo “amables”! ¡Ustéd tiene que saber que eres retecumplido en sus abilidades de escribír y captar las personalidades y esencia de sus entrevistados y el tema de su artículo!